Appraisal of an industrial (office/warehouse) property in Adams County, Colorado. The property featured one office building, one office/warehouse building and two warehouse buildings. Recent appraisal of a flex (office/warehouse) building in Centennial, Colorado. The subject of the appraisal is located near the Centennial Airport. Recent appraisal of two land parcels in Adams County, Colorado. The parcels are located in a Natural Resources Conservation overlay zone as designated by Adams County. The South Platte River runs near the parcels. There is a large pond on one of the parcels. The parcels are partially located in a flood zone. Recent appraisal of an office building located in Lakewood, Colorado. The office building was three stories with a full basement area that included a warehouse area. Recent appraisal of an industrial loft in Denver, Colorado. The industrial loft is a unit within a condominium complex near Downtown Denver. The unit was being used for self-storage purposes. Recent appraisal of an office building located in Commerce City, Colorado. The office condominium unit is a dental office in the Reunion neighborhood. Recent appraisal of a redevelopment project in Denver, CO. We utilized our advanced DCF models to illustrate multiple valuation perspectives. If there is a more advanced DCF model out there, we haven’t seen it. Or heard of it. This post overviews our DCF analysis and overviews what is possible. An introduction to the value and appraisal issues surrounding marijuana dispensaries and grow facility properties. Recent appraisal of two flex use condominium units in Castle Rock, Colorado. The units are currently utilized for retail-based auto-related services. Recent appraisal of a seven-unit multi-family complex in Denver, Colorado. The property consists of three, single-story, multi-family buildings. The property is located in the Hale neighborhood just north of the Rose Medical Center redevelopment. Recent appraisal of an industrial building utilized for plant husbandry (marijuana grow use) in Denver, Colorado. The building contained office use area, four grow rooms and a drying room. The building is CMU frame with a brick exterior. Recent appraisal of an updated building utilized for retail dispensary use in Denver, Colorado. The building was previously a single-family home building type with commercial use zoning. The property is located in the Cherry Creek neighborhood. Recent appraisal of an office building converted from industrial use in Denver, Colorado. The building has been completely renovated with top-of-the-line security, new landscaping and interior finishes. Recent appraisal of a five-building duplex complex located in Westminster, Colorado. Three buildings contained one-level and attached single-vehicle carports. Two buildings contained two-levels and attached two-car garages. Recent appraisal of a two-building multi-family (apartment) property located in Denver, Colorado. Recent appraisal of an attached building used as a gym in Evergreen, CO. 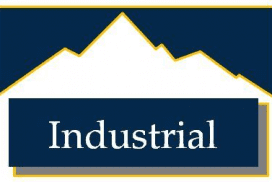 Recent appraisals of two approximately 6,000 SF industrial buildings in Denver, Colorado. Recent appraisal of a multi-tenant, attached, historic retail and office building on Main Street in Longmont, Colorado. Recent appraisal of a industrial building in Denver, Colorado. Recent appraisal of a land parcel with a proposed flex building for development in Castle Rock, Colorado. Recent appraisal of a 40,000 SF industrial building utilized for marijuana plant husbandry (grow facility) and a 10,000 SF warehouse in Denver, Colorado. Recent appraisal of an attached retail building and a freestanding, two-unit retail building on South Federal Boulevard in Denver, Colorado. Recent appraisal of a two-parcel auto dealership with two small buildings on South Broadway in Denver, Colorado. Recent appraisal of a freestanding, one-story bank building in Denver, Colorado. Recent appraisal of a two-story office building in Unincorporated Gilpin County near Black Hawk, Colorado. Recent appraisal of a multi-tenant industrial building and a land parcel in Brighton, Colorado. Recent appraisal of two multi-tenant industrial/flex condominium properties in Centennial, Colorado. Recent appraisal of a retail property operating as a dispensary located in Denver, Colorado. Recent appraisal of an industrial property located in Aurora, Colorado. Recent appraisal of a historic residential home in Black Hawk, Colorado. Recent commercial appraisal of a church property in Brighton, CO. Recent appraisal of a motel for insurance purposes in Denver, Colorado. Recent appraisal of an office building located in Lakeside, Colorado. Recent eminent domain appraisal of a land parcel in Denver, Colorado. Recent appraisal of four (4) parcels of land in Cañon City, Colorado. Recent appraisal of a single-family residential home on approximately 140 acres of land in Steamboat Springs, Colorado. Recent appraisal of a preschool building in Brighton, Colorado. Recent appraisal of a residential condominium with the Washington Park area of Denver, Colorado. Recent appraisal of an plant husbandry (marijuana grow facility) use, industrial property in Denver, Colorado. Recent appraisal of two parcels containing a multi-family historic building, multi-tenant retail, special use and residential properties in Castle Rock, Colorado. Recent appraisal of a three-building industrial property for potential condominium property regime (CPR) in Denver, Colorado. Recent appraisal of a single-family, ranch-style residential property located in Englewood, Colorado. Recent appraisal of three land parcels in Broomfield, CO. Recent appraisal of a single-family, two-story residential property located in a historic overlay district in Denver, Colorado. Recent appraisal of a multi-family (apartment) property located in Denver, Colorado. Recent appraisal of an industrial property located in Lafayette, Colorado. Recent appraisal of an industrial property located in Commerce City, Colorado. Recent appraisal of a multi-family (apartment) property located in Lakewood, Colorado.